This dating senior site is part of Meetic, one of the most popular and well-known online dating sites around the world. OurTime offers a unique experience for senior singles that are looking to find love in a dynamic, modern and fun way. The interesting thing about OurTime is that contacting singles is not only limited to the platform itself. Users can get to know each other through the messaging options of the dating site but they can also meet new people through the great activities organized by OurTime. Are you ready to fall in love? Meet somebody with OurTime right away! OurTime: How does it work? OurTime how does it work? OurTime website is very intuitive and easy to use. A perfect choice for people that are looking for a user-friendly platform for seniors singles in the UK. Registering to OurTime is completely free and really fast. To start, you’ll just need to state your gender, birth date and the type of relationship you’re looking for. Once you’ve confirmed your username, you’ll have the chance to create your dating profile by adding some information about yourself: the city where you live (so the dating site can send you potential local matches), your current romantic status, if you have kids or grandchildren, and other information about your physical appearance, habits and interests. In order to offer a deeper idea about what kind of person you are and what kind of partner you would be, you can also, if you want, describe your personality and the relationship you are really looking for. You will also be asked to add a dating profile picture so other users can make a better idea about your persona. The aim of OurTime is to help you meet a like-minded match. As such, you’ll also be asked during registration to describe your ideal partner. Once your profile is created, you’ll be able to start looking for singles in your area and filtering your search according to your shared interests. 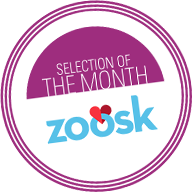 We especially recommend the filtering tool: add different criteria to target your ideal matches. You can select different filters like age, pictures, distance to your location, habits, etc. You can also check the option “Gallery” in which you can see different profile pictures in a random way. It will give you the chance to state if you like a certain profile. It is undoubtedly a great way to get to meet new people and at the same time help the dating site understand the kind of partner you’re looking for. If both of you and your liked profile, like each other, you’ll be able to always access their profile in your favourite’s list. In a way, it’s a very similar tool to the famous Tinder. OurTime offers some guidance and help in order to break the ice and show your interest to other users: you can send winks, private messages, etc. One of the best features of OurTime is its great selection of activities. The idea behind these events is to create a space for singles to meet in the offline world. We highly recommend you to check their different workshops and events! Register for free to OurTime to create your profile and meet local seniors! OurTime allows you to interact with hundreds of senior singles in your area. This interesting online dating site offers you great tools to make the most of your online dating experience and reach your aim: meeting a match! “Gallery”: discover other users in a random way and state which ones seem attractive to you! Could you imagine yourself having a date with the user the gallery is showing you? Contact filter: you can choose at all times who can get in touch with you. Send winks to other users to show your interest and let the magic on the online dating world happen! Messages: chat with others users privately! If you want to get in touch with other users or use other features, you’ll need a Premium membership. OurTime takes it’s users safety very seriously. As such, they have a team of expert in charge of manually reviewing every single new profile created on their platform. As a user, you can also report any profile you might think might not be real. OurTime team will investigate it. You can also make the most of the “incognito” mode: check other user’s profiles without them knowing that you’ve checked theirs! OurTime also has a great customer service with “online help” to assist you with any potential difficulty you might encounter. If you’ve already found what you were looking for or you simply want to cancel your OurTime Premium membership, all you’ll need to do is to go to your “Account” that you’ll find under your avatar (your small profile picture in the top right corner of the page). There you’ll find the section to delete your account. It is pretty simple, although we also advise you to get in touch with the customer service to make sure that your subscription is not automatically renewed. Keep in mind that you need to unsubscribe at least 48h prior to the renewal of your subscription. 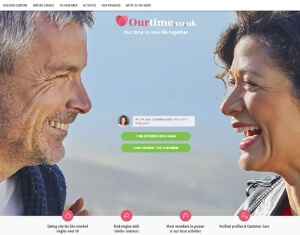 Despite being quite new, the dating site OurTime offers a great service for seniors in the UK. Meetic is behind this senior dating site, a great guarantee of its quality! In OurTime you’ll find a very dynamic community of over 50 singles: modern, fun and very easy to become a part of it. We especially like the fact that users can meet both online, through its messaging and search tools, as well as offline, through the different events and workshops organised by OurTime. If you’re over 50 and looking for a serious relationship, or you just want to meet new people in your area, we definitely recommend you trying OurTime! Start meeting senior singles right now and discover the best dating events in the UK!